Well, this is a surprise. The last we had heard from Norway's Gehenna, a fairly big player in the second wave with classic releases like First Spell, was 2005's vicious but slightly boring WW. And a massive eight years later the band are back with absolutely no fanfare that I can detect, original member Sanrabb (guitars and vocals) joined by a new line-up that includes Skinndød (Throne of Katarsis) on guitars, Slátrarinn (Thurs) on drums, and new man Byting on bass. Immediately it's obvious that the band have moved away from the war metal of WW towards a slow to mid-paced, doomy crawl that seeks to resurrect the atmospheric touch of their earliest releases. The only problem with this, of course, is that without a keyboardist this largely falls flat, and the songs just aren't interesting enough to hold your attention, never mind being memorable. Opening with ambient piano tones on The Decision, the band soon move into sub-Shining slow doomy riffs with snarled vocals, setting a gloomy enough scene but going nowhere with it. The following Unravel blasts along well enough at first, but slips into a similar doomy churn, and again passes without much impact. Aside from tempo shifts, there doesn't seem to be a lot of difference between tracks, and it's hard to find a memorable moment on the album, never mind a song that isn't forgettable. It all seems very dry, with the life and energy sucked out of it and replaced with a cold, dreary nothingness – the nearest comparison is probably one of Darkthrone's lesser albums, it being far more 2003 in sound than 2013. 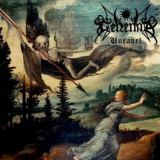 Not a problem for black metal of course, but it is when Gehenna come back after years away and play a very dated sound, bleached of personality and atmosphere, of memorability and viciousness. This will appeal to some, of course, and it's not altogether without merit. Nine Circles of Torture is a sub-three minute blaster that layers the guitars so well that it has an almost hypnotic effect, but it's not exactly a good thing that the shortest track is the best. There are shades of excellence buried elsewhere, the tolling doom riffs of A Grave of Thoughts good but repeated for too long and the faster Lead to the Pyre rising above even duller fare. Closing track Death Enters begins with a spooky keyboard intro, as if to tease us, before going back to the usual dirge. It's impossible to love as a whole, although the album definitely grows on you with repeated listens; it's worth a listen for fans of this style, but undeniably has been done better by other bands. And that's not a great thing to say for Gehenna, who have existed since 1993 and should really have more to say over twenty years later. Hopefully any follow-up releases will play to the band's strengths, but it's impossible to recommend Unravel for what it is.